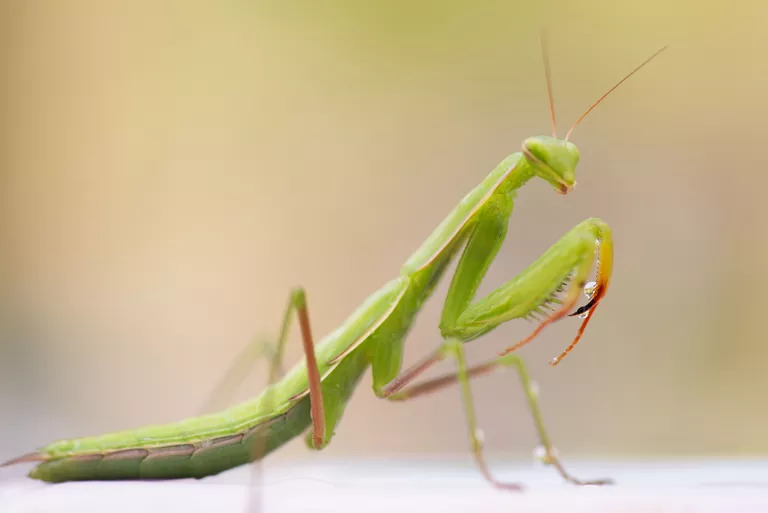 Praying mantis is probably the only insect that has long been admired for its unorthodox disposition, praying-like posture, and non-human spiritual habits. 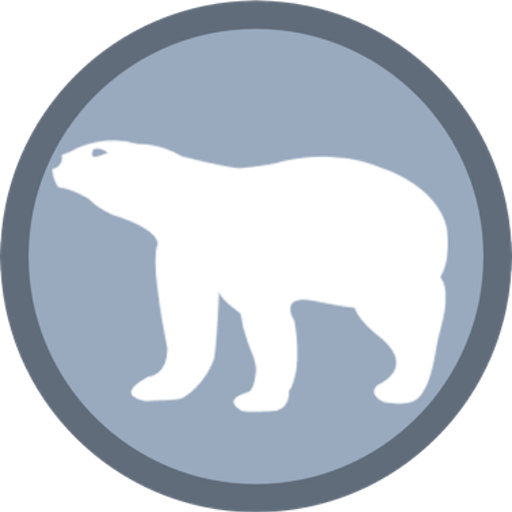 That’s right non-human spiritual habits. It may seem bizarre to most of you but for some people the praying mantis is more than just a jumping insect. 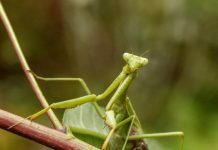 People usually thought of praying mantises as spirit animals one that chooses us and the not the other way round. Even so, a few African tribes regard them as a god. If that is so then perhaps we’ll have to study praying mantis meaning to know what does it mean when you see a praying mantis either in dreams or in real life. 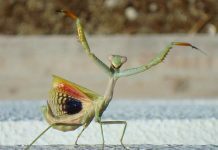 Praying mantises are pretty infamous for displaying prayer-like postures. Very insignificant as it may first seem, the mantis’ posture symbolizes quite many different things or beliefs. Over time, mantis appears to have acquired the following traits. That’s right, striking at the right moment without putting too much thought especially when the opportunity arises. If you don’t know how to do that you’ve got to learn it from the mantis. Praying mantis does it all too well. They aren’t only careful in launching the final attack to its prey mantises are extremely careful. If they would be just a little less careful or strike just a moment too soon, they’ll definitely lose the prey. The whole thing implies that you don’t have to or perhaps you don’t need to wait when you see the ideal opportunity right in front of you. All you need to do is to set the timing of your attack. Seize the opportunity and make everything counts because if you won’t then you probably have to struggle to get what you wanted in the first place. It’s all about timing. Striking unnecessarily at the wrong time is going to blow off your opportunities. 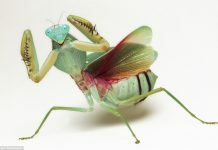 If you fancy living like a praying mantis then you’ll have to bring serenity and an absolute peace of mind in your life. These mantis’ traits likely give you strength to deal with regular stressors. One of the first steps towards achieving your long-term goals is to accept how much stress we have created for ourselves. 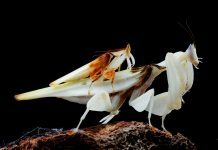 Like a mantis, you’re required to bring some profound changes in your career and learn to cope with numerous situations no matter how hard they may seem to be. Sometimes you see a mantis in your dreams. In that case, your subconscious is possibly telling you to stay calm and bring perseverance in your daily chores. You don’t have to take everything seriously or rushing into decision or action. You must sit and wait for the right opportunity—something mantises are extremely good at. They will hang on to the branches all day long sitting atop grass rock solid without letting their prey noticed them. 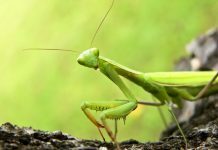 A praying mantis doesn’t hit the target unless it knows it can. The two compound eyes of a mantis enable it to have wider but binocular field of vision. However, the mantis can only focus moving objects. 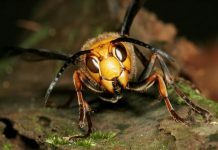 Thus, as the prey moves the mantis rotates its head to stare at the prey so consistently that it leaves the unnecessary things in the surroundings. All it could see the prey only. That is what you can learn from the nature’s smartest creature. How many times you’ve heard this expression, ‘If you put your mind to it, you can accomplish anything’. If your mind is preoccupied with too many things then you probably need to focus on relevant things in life.